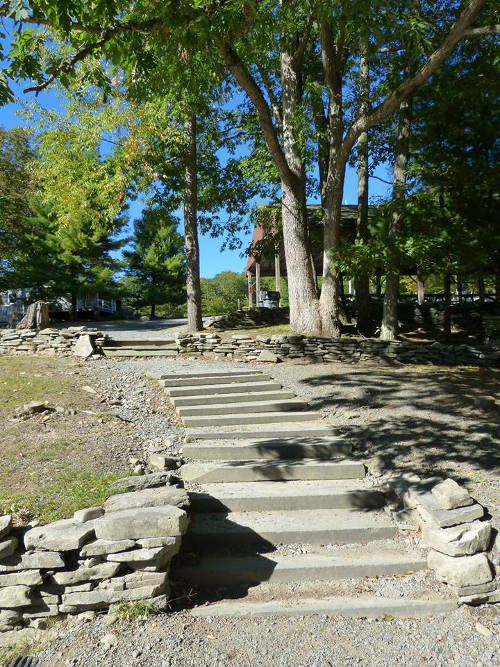 Several other attendees have written fine accounts of this year’s OBOD East Coast Gathering — see Dana’s and John’s posts for two good examples, which are also introductions to their excellent blogs. Here’s mine (with a link to last year’s post, too). Once I pull off the pavement onto the dirt road to Camp Netimus, I stop the car and get out. Apart from the soft metallic tinkling of the hot engine, there is only wind. The first year I felt self-conscious about greeting the trees, but this year it comes effortlessly. How to convey the sense of subtle presence, of quiet welcome? Nothing I can “prove” or point to, nothing objective for any journalist who might opt to “cover” the weekend for a human-interest piece in a local paper, except a middle-aged man briefly motionless beside a tree. And yet. I stand with one palm flat against the gray trunk of this Netimus oak, and the sense of familiarity and welcome is palpable. How to explain this sense of return? Others at the Camp mention similar experiences over the course of the weekend. If this is delusion, and “only imagination” (two words that never should go together), it’s healthier than almost any other I can think of. 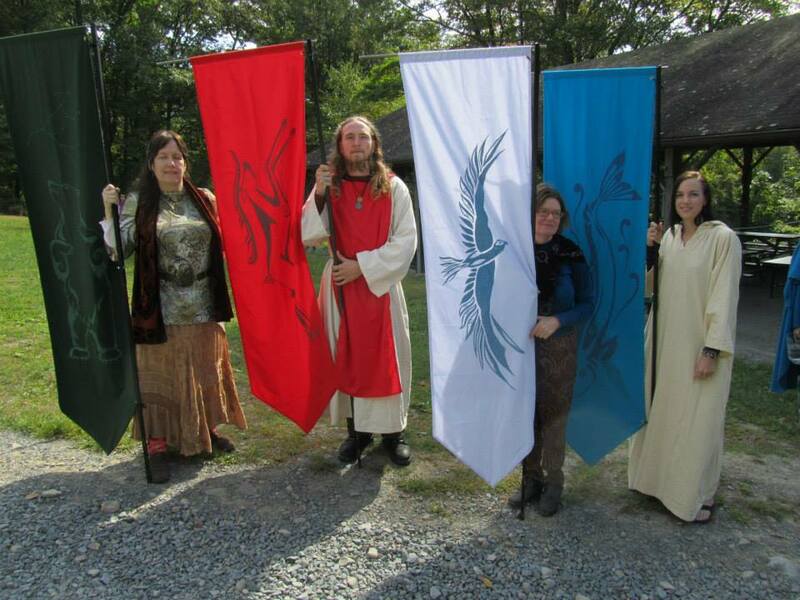 The summer campers are gone, Alban Elfed — the fall equinox — is here, and Druids have returned to honor the spirits of place and the season. I know that a few hundred yards up the hill, I will see again the members of my Druid tribe, who have gathered from Texas and Michigan, Louisiana and Florida, New Hampshire and Georgia to celebrate, reunite, sing, dance, talk, learn, eat, drink, and revere the living green world. 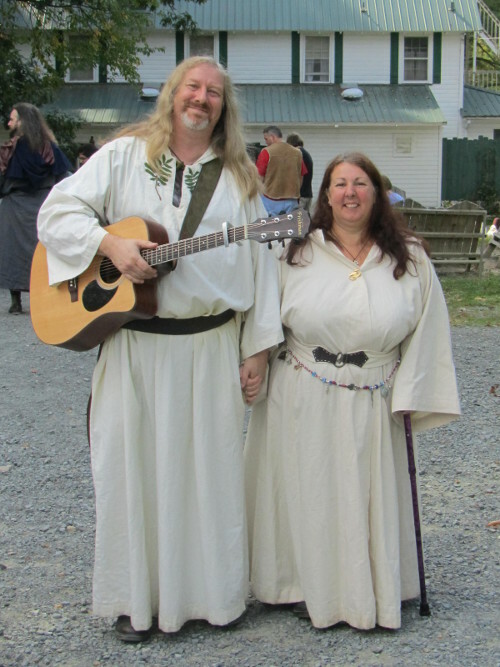 Our three OBOD guests this year from the U.K. are musician and OBOD Pendragon Damh (Dave) the Bard, his wife, artist and workshop facilitator Cerri Lee, and OBOD Tutor Supervisor Susan Jones. In spite of a pesky virus Damh picked up on his way across the pond, he regaled us with two sets around the evening bonfire the first day. The perfect encounter, fitting for a bard: we know him first by his voice alone, which precedes him, rolling out from his albums, videos and podcasts. Check out his live performances on Youtube, and you get a sense, too, of his warm personality and delightful laugh. Now he is with us in person, a commanding presence, towering over us at 6’4” or 5”. 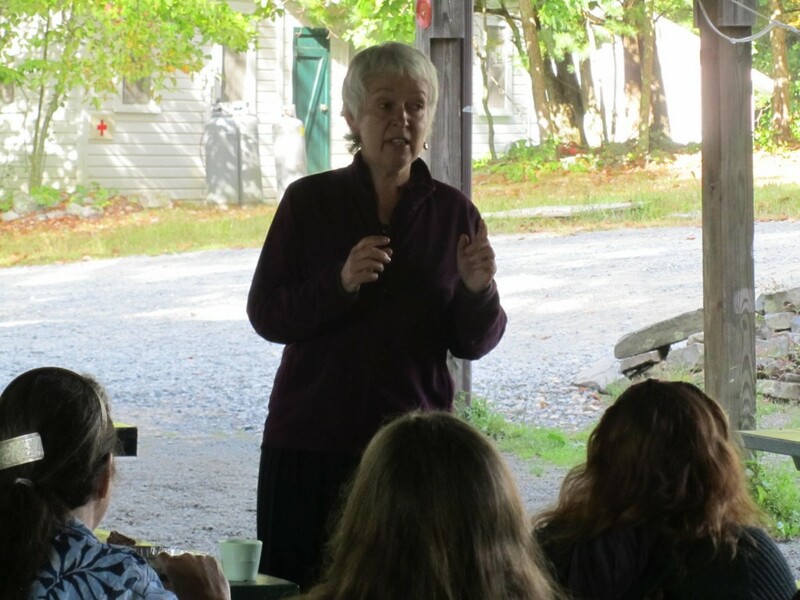 Susan Jones, the Tutor Coordinator for OBOD, also returned to the States this year to celebrate with us and lead a fine meditative workshop on the Hermit and Journeyman in Druidry. We need the Elders of our Tribe to help us steer on a “path with heart,” to give us a sense of who and what has gone before. We’re all in training to be Ancestors, after all. What will we contribute when our descendants invoke and welcome us around their bonfires and hearths? The Cernunnos ritual Friday night proved powerful for many, the presence of the god palpable in the circle of the ceremony. John Beckett, priest of the god, led us in invoking him. The Lord of the Forests has remained on the periphery of my life thus far, a being I respect but have few dealings with. Yet in his grove I reconnected with an animal guide who made his presence known several other times during the weekend — that’s for another post. Two owls called intermittently throughout the rite. This year was my third time attending the ECG, and the first for my wife. Over the last decade we’ve managed to pursue more deeply our individual paths and interests, while keeping each other apprised of what we’re learning and experiencing. I’d apparently talked up the Gathering enough that she opted this time to see “what I was up to” when I disappeared for several days in late September, to return smelling of woodsmoke and bursting with stories. After weather forecasts early in the week that would have left most days of the Gathering in rain, the weather shifted. 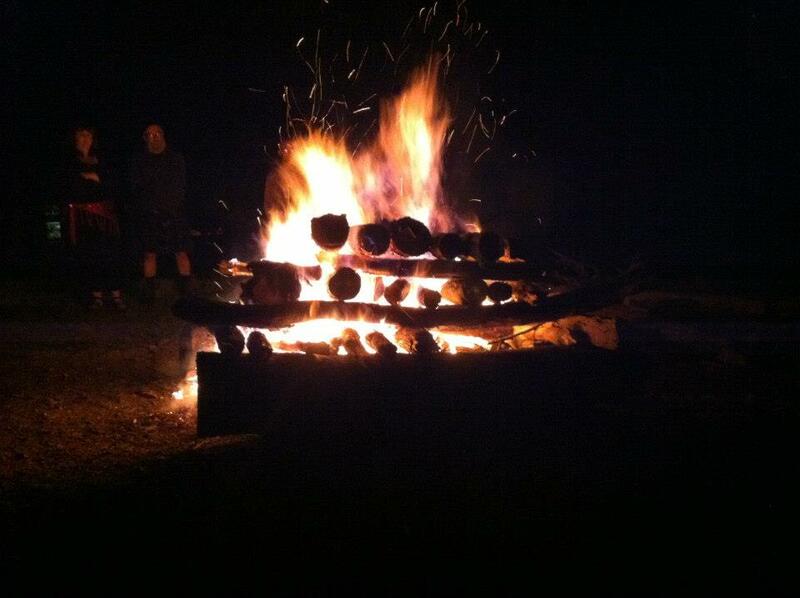 Both Thursday and Friday turned bright and sunny, with cool evenings perfect for what has become a tradition of bonfire, mead, talk, drumming, story and song late into the night. Four Quarters, we honor you. Hawk of the East, Stag of the South, Salmon of the West, and Bear of the North, you came to be with us once again.